For many, this weekend is a time for picnics, BBQ’s and fun family activities, for holiday shopping and sales or for those who have recently graduated, perhaps a time of reflection on the future and the past. But this weekend is not just the beginning of summer; it is also Memorial Day weekend. Memorial Day is, and should be, a solemn day when we commemorate and honor our war dead, not a holiday to “celebrate”. Originally, it was called Decoration Day and ladies (mostly) went to the military cemeteries and laid (or scattered) flowers on the graves of Civil War veterans after listening to patriotic speeches. Today the speeches continue as does the laying of flowers at the graves of military veterans at cemeteries all across the nation. Since the creation of Memorial Day in the wake of the Civil War, hundreds of thousands of Americans have fought and died for our country in battles across the globe so that freedom could endure and our nation prosper. Some are fighting for our country still, in Afghanistan. In doing so, they are carrying on the legacy of service and sacrifice forged by Soldiers, Marines, Sailors, Airmen and Coast Guardsmen at places like Belleau Wood, Iwo Jima, Normandy, Guadalcanal, Midway, Khe Sanh and Khafji and most recently in such places as Baghad, Fallujah and Tora Boro. This weekend is a good opportunity for everyone, including our recent graduates, to reflect upon the freedoms we all enjoy and upon the brave Soldiers, Sailors, Marines and Airmen who have died so that we can have those freedoms. Even as we honor the war dead, members of our Armed Forces are putting themselves in harm’s way and some may be dying today. We need to remember them also as they continue to support, defend and protect America and enhance the ideals of liberty, justice and freedom. Unfortunately, history has taught us the bitter lesson that freedom is not guaranteed. There will always be individuals, groups or nations that don’t believe in the “certain inalienable rights” of all people that our Constitution promises to protect. This weekend we honor noble service men and women who sacrificed all for those rights. This weekend, let us not forget the sacrifice of those who died. Let us not forget the deeper meaning behind the day amid the parades and barbecues that have come to herald the beginning of summer. Let us not forget the real reason that men and women in uniform march each year. 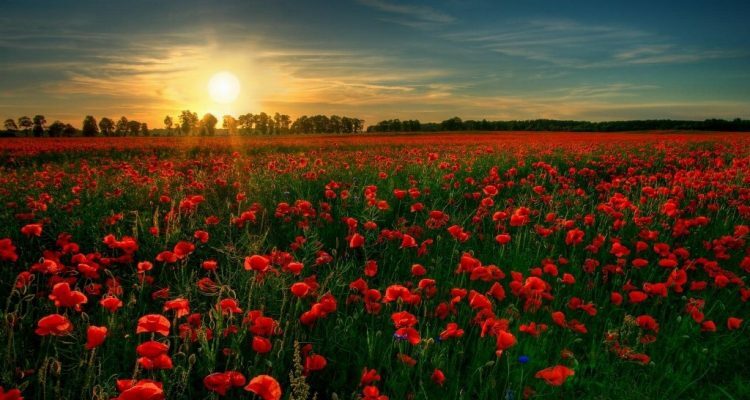 Let us honor and remember our war dead and the sacrifices they have made. At the same time, let us hope and pray that conflict will end. 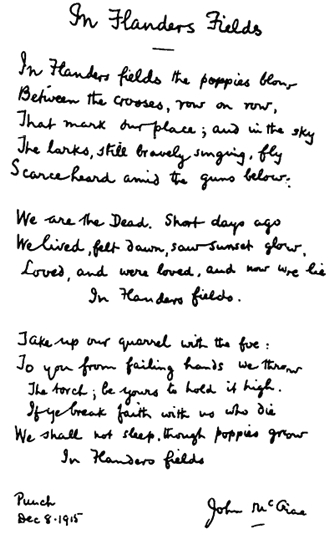 World War I brought us the famous poem “In Flanders Field,” which was written by John McCrae, a Canadian Army Major. That poem will be read or printed in the program at almost every Memorial Day Ceremony. That war also brought us the Buddy Poppy as a symbol of sacrifice. During the weekend veterans’ organizations, particularly the Veterans of Foreign Wars (VFW), will be selling these red flower symbols to raise funds for veterans causes. The Buddy Poppies are all made by veterans who are disabled or in nursing homes. Buying and wearing one is a visual symbol of support for war veterans. Maybe in the future, there will be a time when Americans will not have to make great sacrifices to stand against tyranny, injustice, hatred and terrorism. But, until that day we must thank God that living among us are those men and women who willingly join the Armed Forces and take up the cause of defeating tyranny and who possibly sacrifice their lives for our freedom. History has shown that civilization does not thrive without freedom and that freedom does not survive without those willing to sacrifice in its name. 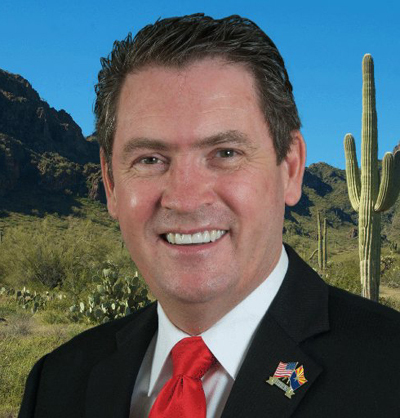 In Scottsdale at the Chaplain Statue at Scottsdale City Hall, 3939 N. Drinkwater Blvd., at 10:00 a.m. with LtCol John Chavez, US Army as the keynote speaker. 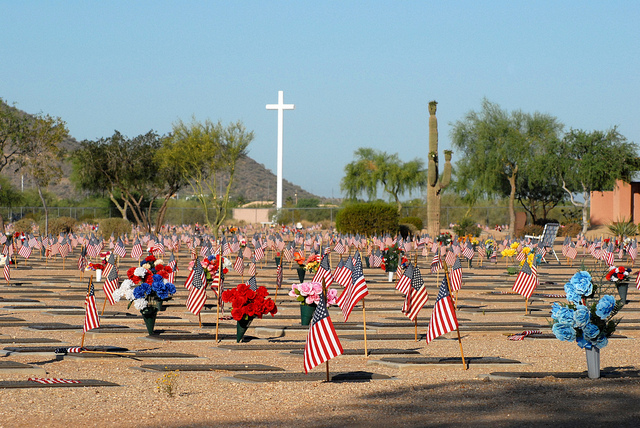 The Fountain Hills and Scottsdale ceremonies are hosted by local veterans groups. I strongly encourage everyone to do something to reflect upon or remember the reason for this particular holiday. It is a day of commemoration and honor and not a day of celebration. Postscript: Many people confuse Memorial Day with Veterans Day. Memorial Day is officially proclaimed to honor those who have died while serving in the Armed Forces in time of war, while Veterans Day is set aside to honor those who have served or are now serving in the Armed Forces. On both days, we should be thankful for those who serve to protect our American freedoms. Since not everyone can participate in Memorial Day services, Congress established the “National Moment of Remembrance” and asks that all Americans wherever they are at 3 p.m. local time, on Memorial Day, to pause in an act of national unity for a duration of one minute. The time 3 p.m. time was chosen because it is a time when most Americans are enjoying their freedoms on the national holiday. This Moment does not replace traditional Memorial Day events, rather, it is an act of national unity in which all Americans, whether alone or with family or friends, honor those who died in service to the United States. Let us not forget the truth and reality of this important story. You will either fight against the story or submit your life to it. On behalf of all of us at Sonoran Alliance, we wish you a very blessed and merry Christmas! Jesus Christ’s birthday is celebrated by the world in this month of December. He lived in a dusty corner of the Roman Empire more than 2,000 years ago. From the beginning of his birth among the animals was the beginning of his humble life. 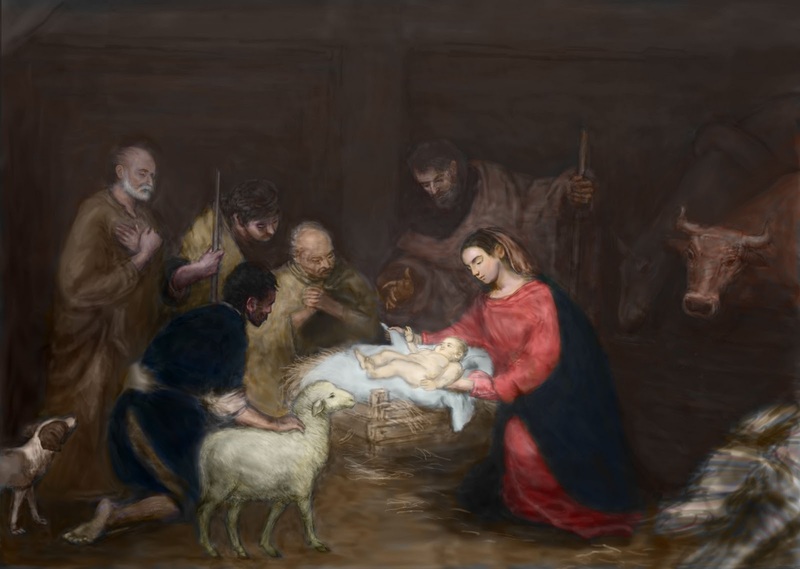 For there was no room for him in the Inn. He had no money. He was not a sport hero or starred in a blockbuster movie, or was elected to a position of power. And, yet, more than one billion people today proclaim to be his followers. From my earliest memories, I knew who this man was, for I was taught as a child, “Jesus Loves Me.” My mother read Bible storybooks to me about his compassion for the sick and the suffering and how he healed the blind, lame, and lepers. He even raised the dead. I had a picture of him holding the little children. My heart knew he loved me. My early memories of Christmas were wrapped up in sound, smell, and taste. There just is something about the air that is even different. A child feels an unexplained excitement and anticipation that stays with them into adulthood. My mother wanted us to remember Christmas not as a gift-giving day but one of celebration of the Life we were honoring. “What gifts can you give Jesus?” was her question to us one Christmas in 1960. I wasn’t much in the mood to answer her question. I was feeling sorry for myself because, truth be told, we were a family living on meager means, and I knew that I wouldn’t get much in the way of presents that year. My mother told us of a family whose father was very ill. There were three little girls in the family. We took some of our old dolls and made them over with new hair and beautiful doll clothes that my mother and I sewed. I felt the excitement building. We made pies and cookies and put together a food basket. After dark, my sisters and I crept up to the door. We placed our offering on the porch, knocked, and ran. We had pre-picked a bush where we sat shivering with anticipation as we watched to see what would happen. The door opened, and a little girl cried out. “Mommy, there’re presents! Words can’t describe how much better my young 12-year-old heartfelt. My mom said I felt the spirit of Christmas. We made goodies and wrapped a flannel shirt and packed them in a basket and at the last minute I put in a Bible with the Christmas story marked. I told my oldest son to be ready to jump out and place the box on the ground at the back of the camper. I was worried that we might frighten him, so I wanted to be quick. On Christmas Eve, when we drove up, all was dark and quiet. I wasn’t sure if he was there, but my son quickly got out and placed the box. As he jumped back in the car, the back of the camper door flew opened and, as I sped away, my daughter yelled out the window, “Merry Christmas, we love you!” The kids sang all the way home. 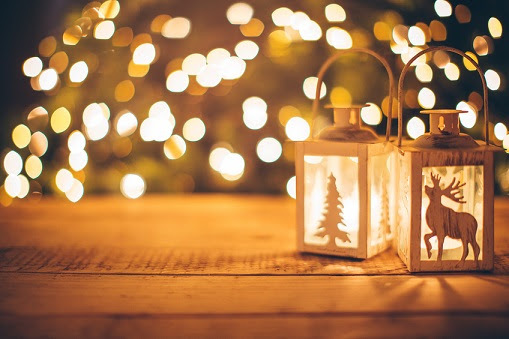 We had the Christmas Spirit – the Spirit of Christ. Now I am making memories with my grandchildren this year we help at the Salvation Army warehouse. Whatever attitudes people hold towards Jesus Christ, whether they believe him to be the Son of God or just a great teacher, there is no question that, if his teachings were faithfully followed and lived by everyone, the world would be a better and more peaceful place to live. Christmas gives us a chance to change ourselves and to remember a babe born of Mary. Merry Christmas to all of you from the Allen Family!!! Washington—Today, Rep. Matt Salmon (AZ-05) released the following statement in remembrance of the September 11th attacks in the United States of America and in Benghazi, Libya. “Today, we take a moment to observe the anniversary of the horrific attack on the United States of America that shook the very soul of our nation. Twelve years ago, we were hit, but not defeated. As Americans always do, we stood back up with strong resolve to move forward. Let us remember the brevity of life, the presence of evil in this world, and the strength we see in America’s heroes. We are grateful for their countless acts of courageous service and sacrifice. “On this day, we also remember the four American service members and diplomats struck down by terrorists one year ago in Benghazi, Libya. We must continue to pursue justice in their name.